Ruggles & Jeffery is a national building contractor based in Wickford, Essex. Since 1992, we have been providing security installations for the commercial, health, public and financial sectors. Ruggles & Jeffery has more than 18 years’ experience of installing commercial security solutions to banks, hospitals, pharmacies and government buildings. We have an enviable reputation for building environments that protect people, products and business. Our security products are built and installed to your specifications by trusted and experienced professionals who are all enhanced CRB checked. Our teams are led by innovative contract managers who work closely with our clients to ensure that the security installation meets their needs. 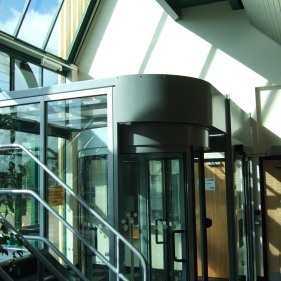 Our commercial Security installations have been used by major financial institutions, hospitals and care homes, commercial properties and retail outlets. Our service ranges from changing locks, installing personal lockers, installing CCTV cameras, creating ATM rooms to installing a complete security system. We have many delighted customers who have been happy to work with us time and again and to recommend our security installations.